Tony Blair, former UK prime minister, arrived Nigeria on Friday. He a private meeting with Vice-President Yemi Osinbajo at the presidential villa, Abuja. Blair served as prime minister from 1997 to 2007 and Leader of the Labour Party from 1994 to 2007. 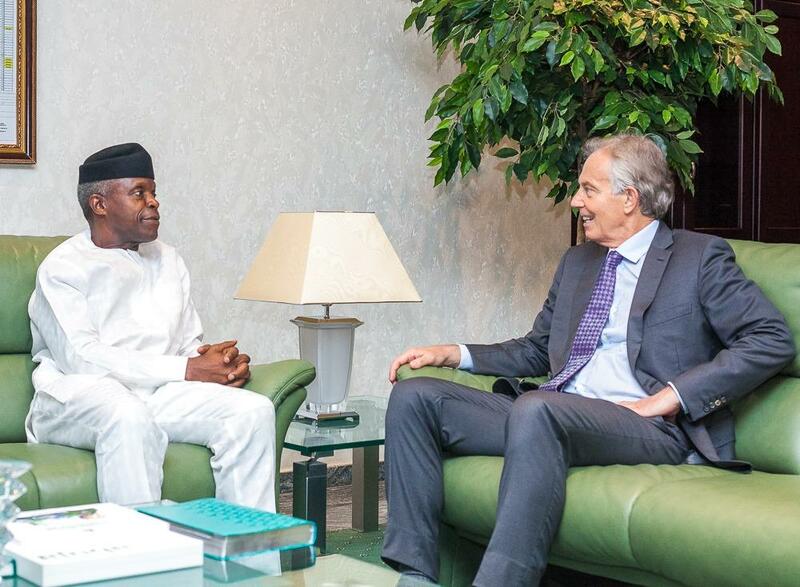 Osinbajo received Blair in the absence of President Muhammadu Buhari, who is currently attending an economic summit in Jordan.